Neuhausen, altitude approx. 500 m above sea level, is located at the margin of the Black Forest approx. 18 km south east of the city Pforzheim, roughly in the middle between the cities Stuttgart and Karlsruhe, both located in the state Baden-Württemberg in the south-west of Germany. The probably best known cities in the vicinity of Neuhausen are Weil der Stadt, the native town of the astronomer Johannes Kepler, and Calw, where the narrative writer and lyric poet Hermann Hesse was born. By train: train stop "Monbach-Neuhausen" (5.5 km), nearby train stations are located in Weil der Stadt (9 km) and Bad Liebenzell (8 km). I am engaged in alternative energy sources with investments in solar power and wind power. In addition to that, I operate two solar energy systems on my own - pretty common nowadays, but not in 1996 or 1997, respectively! Therefore, I compiled some facts and figures concerning these systems. Additional information on these and similar systems in the vicinity can be found in "Solarführer Nordschwarzwald" published by Goldstadt Verlag, Pforzheim, Germany, 1999. In October 1996, 30 Kyocera KC 120 modules with a peak power output of 120 W each were installed on the roof of my house. Combined to a single circuit, they provide	a voltage up to 500 V DC and a current of up to 7.1 A. A Sunways SWR-3000 DC/AC sine inverter with a nominal output power of 3000 W (actually up to 3300 W) feeds the power into the public mains. This system worked for over 13 years without any maintenance. In 2009, an integrated circuit in the inverter had to be replaced, the system has been operating ever since. The average output has remained virtually constant over the years: the monthly production rates are compiled in the figure below, of course strongly dominated by seasonal changes. Please note that the average power output is subject to seasonal changes, too. 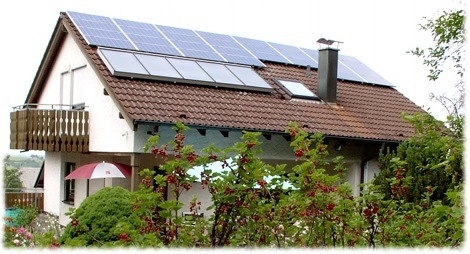 In the first years, the rates for solar power were extremely low, about 0.08 EUR/kWh. Thus, it was more attractive to consume the produced power in house (replacing conventional power, approx. 0.20 EUR/kWh at that time). Meanwhile, the regulations concerning solar power have significantly changed: I now receive 0.50 EUR/kWh, a rate guaranteed for 20 years. Under these conditions, the system provides an annual profit of about 6% - pretty acceptable in view of the current rate of interest. Fascinated by the performance of the photovoltaic system, I decided to add a photothermic system by Wagner in 1997: a flat collector with a surface of 6.4 m2 provides hot water. A solar circuit controller CIRCO2 and a ECO G2 storage tank with a net volume of 400 l completes the system which provides water with up to 90°C. Of course, this system is not able to provide a sufficient amount of hot water all over the year. Nevertheless, it provides pre-heated water even during winter, such that the conventional oil-based heating system saves energy in any case. The photothermic system requires only very little maintenance: after some years, some air tends to accumulate in the solar circuit and has to be released manually. In contrast to the photovoltaic system, I do not exactly know the amount of energy provided by the photothermic system. Although it is possible to determine this by measuring water flux and temperature difference in the solar circuit, I have not yet installed such sensors. Obviously, the efficiency of the circuit increases with decreasing temperature of the water to be heated. In other words, the more water is consumed, the more energy is	gained. This feature is quite different to the behavior of the photovoltaic system where the production is independent of consumption. To account for this feature, even the dishwasher and	the washing machine are fed with pre-heated water. 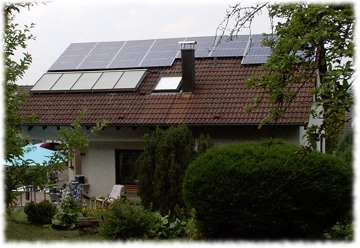 Both systems have been planned and installed by Beck Solartechnik. I am very grateful for their smart way to connect the collectors on the roof with the devices in the cellar: all installations were made outside the building with minimum invasion such that no rooms have been affected. The - literally - driving force for the PV system described above was the aim to switch to an electric vehicle (not a hybrid system combining the back draws of both approaches). In 1996, I ordered a German vehicle well ahead of its time, the "Hotzenblitz" which was supposed to be charged with the PV system. Unfortunately, I did not take a picture at that time, but there is a detailed Wikipedia entry (only in German by now) on this topic. At that time, it did not work out due to bankruptcy of the manufacturer. Recently, it finally did, more or less by chance. To my surprise, there were several electric vehicles on offer just on the spot - not really advertised at all... Finally. 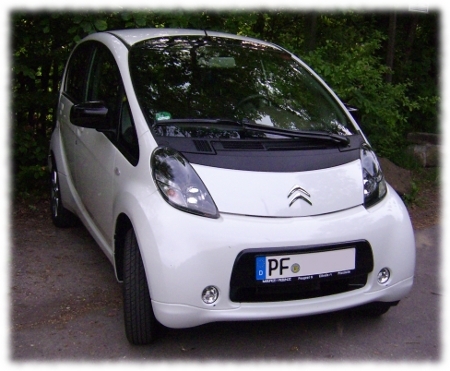 a Citroën Czero, put in service in 2011 made it. As it is still (although quite well hidden) on sale, also distributed by Peugeot and the original developer Mitsubishi under other names, there is no need to link this against anything. Almost no need to mention that: operating costs are amazingly low - based on current prices for electric power and fuel, well below an equivalent of 3l fuel/100km, coming along with a very dynamic performance. Full power at virtually any velocity and revolution speed. Dream on with your combustion engine... By the way, no tax for the first ten years, and pretty naturally no tax on fuel at all. 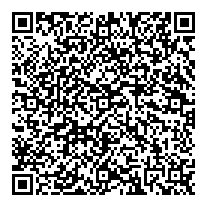 Feel free to sugarcoat your own expenses.